Sort and filter photos of an event is often long and tedious. Sharypic makes it easy by doing it all together in one place. Tell your story by creating your own album. Sharypic can fill it automatically with photos based on your criterias (date/time, tags...). 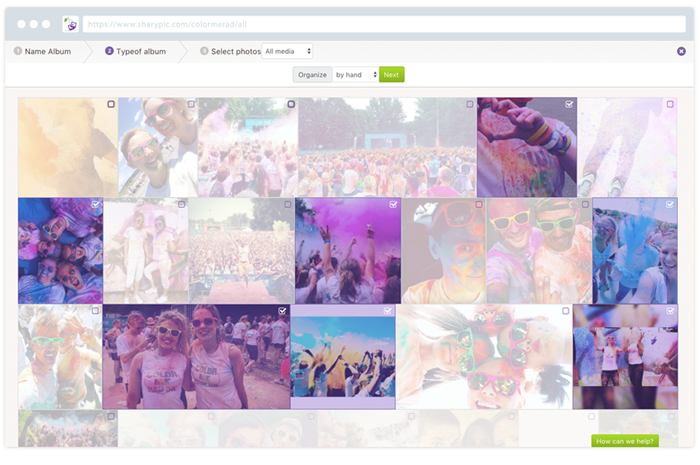 In a click, retrieve and share best moments of your events. Then all your albums will be available to be embedded with our widget, downloaded in a archive, or backuped on Dropbox or Drive.